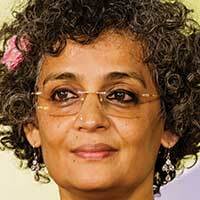 Best-selling author Arundhati Roy takes an uncompromising position on capitalist greed, the dark path India has taken, Mohandas Gandhi and the Guptas. For twenty years after releasing her best-selling debut novel, The God of Small Things, Indian author Arundhati Roy put all thoughts of fiction aside and focused on writing about Indian politics, environmental issues and the effects of capitalist greed on her country and the world. During that time, she wrote about the rise of Hindu nationalism in India and slammed its champion, the country’s prime minister Narendra Modi; she’s condemned India’s military occupation of Kashmir; she’s travelled to India’s “valleys and forests” to try to make sense of huge, sudden changes that have been taking place post-globalisation; she’s been present during police raids at universities and endless student arrests; and she’s listened closely to the struggles of her fellow citizens in a country where the caste system is alive and well, where Muslims are persecuted and Dalits (so-called untouchables) are lynched. 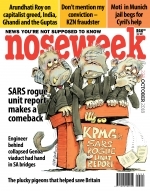 How safe is SA's Morandi bridge?